Take note of several areas of interest, then click on the appropriate link at the bottom of the page. The MAP links require the use of Adobe Acrobat Reader. Acrobat Reader can be downloaded free of charge. If you experience any difficulties seeing the MAPs we recommend that you download the latest version of Acrobat Reader. Click here to download Acrobat Reader. Accounting is the primary "language" of business and accountants assist businesses in determining, analyzing and communicating their financial results to interested parties. The Accounting program in the School of Business introduces students to all the functional areas of accounting including financial accounting, managerial accounting, auditing, taxation and accounting information systems. Students develop an essential competency in each of these areas and complement this knowledge with study in relevant areas of business and economics. The Accounting program also places a particular emphasis on ensuring that graduates have a clear understanding of the ethical values critical to the accounting profession, as well as an awareness of the social obligations that accompany a career in accountancy. The Biochemistry and Molecular Biology program is designed for students interested in these rapidly developing fields of science. Students with training in these fields can pursue careers as researchers in academic or industrial settings or they can pursue further study in graduate or professional schools. Research in the biomedical and biological sciences has been revolutionized in large part by advances in technology and instrumentation. These advances have increased the scope and throughput of research activities, and resulted in the development of new fields of study such as genomics and proteomics. Scientists can now study genomes and proteomes in their entirety, rather than focusing on just a few genes or proteins. The continued evolution and refinement of the instrumentation that facilitates these studies now places the ability to conduct this research within the reach of most research laboratories. The Bachelor of Science in Interdisciplinary Studies with a faculty-initiated interdisciplinary concentration in Bio-instrumentation is a combined major/minor program designed to develop students who have an in-depth knowledge of the theory and operation of state-of-the-art instrumentation currently in demand in biomedical, biology, biotechnology and public health laboratories. Students will also acquire a strong background in the biological sciences and be fully conversant with major public health issues. Building upon a prerequisite core of general science and math courses, the degree curriculum provides a solid background in public health and in-depth theoretical and operational expertise in bio-instrumentation. Beyond the prerequisite core there are four facets to the program: the first consists of an introduction to the core components of public health; the second provides an in-depth understanding of the theory, operation, and application of instrumentation in molecular biology, genomics, proteomics, and cell analysis research; the third provides practical, hands-on research experiences with the use of instrumentation in these fields through internships in University laboratories; and the fourth provides real-world experience in the use of biotechnological instrumentation to address broader research questions, and an understanding of the expectations that come with a professional career in laboratory research, through cooperative training internships at local biotechnology companies or academic laboratories. The Biology B.S. provides a strong background for further study either in graduate school or medicine and prepare the student for secondary school teaching and a variety of careers in biology at the technical level. Graduates often find technical-level positions with pharmaceutical companies or as research assistants in grant-related positions. Those who go on to graduate or professional school have a wide array of career opportunities in research, health fields, and business. The Chemistry major provides students with a broad, fundamental knowledge of modern theoretical and experimental chemistry enabling graduates to embark immediately on professional careers in chemistry or to continue study at an advanced level toward higher degrees. Chinese studies includes Mandarin language courses and courses in English on aspects of Chinese civilization, including History, Literature, Religion, Geography, and Political Science. Communication involves study in each of three particular social contexts: first, communication on an individual level, involving interpersonal or intercultural relations; second, communication at the societal level involving large scale audiences, especially in regard to political action and democratic processes; and third, communication in organizations-whether business, governmental, or grass roots organizations--that affects either the organization's internal processes or external relations. Computer engineering is a discipline that integrates computer hardware design with software design. Working with computing devices and systems, computer engineers use the principles of basic science and mathematics to analyze and design solutions to solve computing problems.. The interdisciplinary combined major and minor program in computer science and applied mathematics is a program providing a strong background in the theory and practice of computer science combined with those courses in mathematics which are most likely to be needed for advanced work in computer science, either in graduate study or industrial research and development. It is a good choice for students with particular interests in mathematics as well as computer science. These programs provide excellent preparation for the advanced Graduate Record Examination in computer science and will provide an attractive background for admission to high quality graduate programs in computer science. The mathematics portion of the program, with the appropriate selection of one or two electives, can provide a good mathematical background for work in operations research which is an important area of computer application in business, or for numerical computation in a variety of areas related to the scientific and engineering use of computers. The Data Analytics concentration provides a good background for work in data mining and data analysis, using data to inform business decisions. The undergraduate curriculum in Digital Forensics is designed to nurture the development of students who are able to think critically, perform high-level analysis, adapt to changing environments through innovation and exploration, and have a deep understanding of the technical, legal, financial and socio-psychological influences that are related to the practice of digital forensics and investigation of cyber-crime. The curriculum is structured with four components: foundational principles, core competencies, concentration, and capstone. The first two components are designed to integrate the dissemination of fundamental principles with the cultivation of the critical skill set necessary for advance undergraduate coursework and interdisciplinary research. The remaining two components expand on these foundational skills to develop the topical expertise, technical depth, and independent analytic abilities that are essential to a well-rounded undergraduate educational experience. There are four distinct specializations within this major concentration: Ecosystems, Climate Change, Geography, and Sustainability Science and Policy. Each area represents an emphasis within the overall program that would best match a student’s interest and desired career path. For example, those most interested in studying the climate–environment system would opt for Climate Change, while those seeking careers in land use planning and geographic information systems might opt for Geography, and students keen on aspects of biological processes and ecology would select Ecosystems. Financial markets are among the most important and dynamic systems in the world. Public and private regulators, financial services firms, law firms, and other organizations all play key roles in operating these systems effectively and ethically. The University at Albany's Interdisciplinary Major in Financial Market Regulation provides a unique program, leading to the Bachelor of Science degree, preparing students for professional work in the field or further study in graduate and law school. The Interdisciplinary Minor in Financial Market Regulation introduces students to market regulation, complementing majors such as Accounting, Business, Computer Science, Economics, Political Science, Public Policy and Management, and Sociology. While the major and minor focus on financial market regulation, they provide knowledge applying to diverse areas in the private, public, and nonprofit sectors. The Globalization Studies Major is designed for students seeking a liberal arts education that focuses on major global issues. Students will gain a systematic awareness of the global forces and processes that shape our lives, and they will study and discuss major global issues and problems. History provides students with a thorough grounding in the past, seen from both social scientific and humanistic perspectives, and in the nature of history and historical analysis. Concentrations include US, European and World history. The B.S in Informatics is a unique opportunity for students to study the application of technology across disciplines. The degree is a combined major and minor, requiring a total of 54 credits. This includes 33 credits of required core courses that focus on the relationship between technology and society, the use of various technologies across platforms, and programming fundamentals. Emphasis is also placed on providing students with various opportunities to gain real-world experience, which comprises the 9 credits of experiential learning. In addition, students are required to complete 12 credits in a specialization called a concentration. This gives students the opportunity to deepen their experience and knowledge in a particular area of Informatics. The tracks are Interactive User Experience, Cyber-security, Data Analytics, and Information Technology. The Information Technology track is offered on campus or fully online: students should indicate if they want to complete the program fully online so they will get priority placement in online courses that support the program. Japanese studies includes Japanese language courses and courses in English on aspects of Japanese civilization, including History, Literature, Religion, and Economics. journalism in the 21st Century. Students choose from four concentrations: STEM (Science, Technology, Environment, Medicine), Public Affairs Journalism, Digital and Visual Media, and General Journalism. Latin and Caribbean Studies requires interdisciplinary course work with Latin American content and competence in Spanish, Portuguese or French. The Linguistics major is designed to provide students with a basic understanding of the nature of human language and the principles and methods of contemporary linguistic theories. The major offers a liberal education that combines the approaches of the humanities, the social sciences and the sciences. Math provides a broad offering of courses from which each student can make a selection designed to satisfy any of a large variety of objectives. In addition to including the standard courses in pure and applied mathematics, course offerings are unusually strong in statistics and actuarial mathematics. Medieval and Renaissance Studies gives students a broad, multidisciplinary training in the history and culture of Europe from late antiquity to the early modern period. Both as a major and a minor, the program offers a wide range of courses and a guide for anyone with a special interest in the Middle Ages and the Renaissance. Music provides students with the fundamental knowledge and technical capabilities necessary for the pursuit of graduate studies or professional activities. Concentrations include Chorale Conducting, Electronic Music and Media, Performance, and Composition. Philosophy offers a general major that provides students with a background in the history of philosophy (e.g. Plato, Aristotle, Descartes, Hume), as well as in values and logic related courses. Physics provides students a solid foundation in both classical and modern physics. Students are prepared either to undertake graduate study in physics, to apply physics principles and techniques successfully for advanced work in other disciplines, to enter industry usefully, or to teach in the secondary schools. Along with courses in classical mechanics, electromagnetic theory, atomic and nuclear physics, and thermal physics, students learn modern experimental techniques, principles of quantum mechanics, and applications. Elective courses in other sciences and independent study and research with faculty members in the active research fields of the department are encouraged as part of the practical emphasis. This suggested sequence of Pre-Health courses will satisfy the admission requirements for most medical/dental/ optometry programs. Completing them by the end of sophomore year is necessary in order to begin graduate work in the fall following graduation. Please note that Pre-Health is a track, not a major; Pre-Health students can pursue the major/minor of their choosing, but need to follow this track for their first 4 semesters. Psychology provides students with a broad, general background in scientific psychology. The curriculum emphasizes scientific and statistical reasoning skills that will help students in a variety of applied and basic research settings. Professionals with Public Health knowledge are increasingly called upon to address population-based health issues, and the demand for leaders in this field continues to grow. Religious Studies is the study of the religions of humankind. Religion, one of the most basic of human concerns, has occupied a leading place in the thought and activities of all peoples from the earliest civilizations (as shown by archaeology), through early literate societies, (as seen in their religious texts), to the present, where religious beliefs and their consequences continue to shape the daily news. Social Welfare prepares students for beginning social work, a career devoted to helping people function their best at home and in the community, through direct service or therapy to people, or by working for change to improve social conditions. Sociology explores and analyzes issues vital to our own lives, our communities, our nation, and the world. We are known for studies of demography, crime and deviance, family and gender, political, economic and historical sociology, cultural sociology, urban sociology, migration, and race and ethnicity. We develop and test theories with a variety of quantitative and qualitative methods. Our scholarship extends beyond the United States to case studies and comparisons with societies throughout the world. The Department looks forward to continuing its rich traditions. A major in Sociology provides a foundation for careers in academia, the professions, government, business, or community agencies. 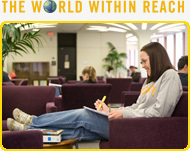 We are also one of the largest undergraduate majors at UAlbany, offering a broad and diverse range of options for students. Spanish develops students who become highly proficient in speaking, understanding, reading and writing Spanish, as well as who develop a thorough knowledge of and an appreciation for the literature and civilization. Proficiency in language skills is regarded not only as an end in itself but also as a means of studying a foreign culture. Theatre is a performing art and also an area of study through which students may gain a liberal arts education. We assume these two sides of theatre to be mutually supportive. Our curriculum, which includes its production program as a central component, is designed to aid students in learning to communicate effectively both orally and in writing, to work collaboratively and creatively to solve problems, to acquire intellectual skills necessary to confront a changing world, to acquire proficiency in a core of theatre knowledge and practice, and to understand the self-discipline and work ethic necessary to pursue a life in the arts. Acting, design, directing, technology, management, history, theory, criticism, and dramatic literature are considered interdependent studies, and a solid foundation is vital to advanced study or employment in theatre or a wide variety of related fields. Urban Studies and Planning is designed for students interested in a liberal arts education focusing on urban and suburban environments, and on urban, community and neighborhood development. The program of study mixes conventional classes with fieldwork and computer-based learning, and it requires considerable awareness of international, multicultural and policy issues. Women's Studies encourages students to reexamine their own lives and the world around them in relation to gender, race, class, and sexuality. The curriculum reflects new subjects, theories, and methodologies based on a cross-cultural, multidisciplinary approach to the study of women.